The director of this film, Chris Marker, died this week at the age of 91. He is one of the biggest names in avant-garde cinema and French cinema. La Jetee is one of his most famous works. It's an extraordinary, one of a kind film that tells the tale of a time-traveler trying to prevent a nuclear holocaust from happening told almost entirely through black & white still pictures (except for one shot, see if you can spot it!) and poetic narration. It blew me away and taught me about the power almost purely visual cinema. If the plot sounds familiar, it's because the Terry Gilliam film 12 Monkeys starring Bruce Willis and Brad Pitt is based on this extraordinary film. R.I.P. Chris Marker. The Royal Tenenbaums (Wes Anderson) **** - This is my second or third time watching this film. I reminded by how much I love it. It's so goddamn great. I saw a bunch of films from the Cinemalaya Film Festival, an independent film festival in the Philippines. Kamera Obskura (Raymond Red) *** - Silent-era Filipino films like with most silent-era films from tropical countries are all practically lost. This film is basically a silent Filipino film made to look it was made in that era. It's about a man after being trapped in a cell for a long time emerges to find himself in a retro-future and is given a special camera that zaps people into obscurity. The film starts out very promisingly with a lots of interesting steam punk-esque visuals, following the rhythm, pace and even film scratches of a silent-era film. Then unfortunately becomes a tad preachy and ultimately goes nowhere. But still, it's an extremely creative, endlessly fascinating piece of work. As He Sleeps (Sheron Dayoc) *** - A wife dutifully cares for her paralyzed husband. An interesting, almost wordless film that features a pretty damn good performance by Sue Prado. It says volumes about marriage with barely any dialogue. Balintuna (Irony) (Emmanuel Escalona Jr.) **- Two young boys', one a thief, the other a superhero fan fates intertwined. The title is "irony" but I don't get the "irony" of it. The boys' performances are very natural and there are some nifty editing and music but this one didn't work for me. Bohe: Sons of the Waves (Nadjoua Bansil) **1/2 - Five Badjao (Filipinos who reside in the Southern part of the Philippines, usually near water) boys learn about the importance of mangroves. A potentially fascinating subject matter and it has its moments but it seems to lack a bit of focus. The Passenger (Max Celada) ***1/2 - They saved the two best for last. This one is about an old lady in a passenger jeepney who keeps prattling and ranting about all sorts of subject matter to her fellow passengers. I have to say while watching this I can't help but think that the writer-director must have based this on personal experience. It's quite funny. Victor (Jarrell M. Serencio) ***1/2 - I'll throw a bit of warning: I happen to know the guy who made this and a couple of friends of mine are also involved in the production but I'm gonna review this as objectively as possible. This is a rather exemplary film. Is it narrative? Is it a documentary? It sort of blurs the line. It's about a man who every year plays Jesus in a recreation of the passion and death of Jesus Christ and LITERALLY gets himself nailed to the cross. Tougher to watch than The Passion of the Christ (the nails are REAL) and also has more to say about religion and spiritually than that film. This is probably Charlie Chaplin's best work. It's certainly my favorite. It's about a bum who falls in love with a blind flower girl. It features one of the funniest slapstick sequences yet also features one of the most moving endings ever filmed. What's also similarly remarkable is the fact that it was made when sound films were already in full swing. Apart from a gag early in the film, it's still very much a completely silent film. Le Boucher (Claude Chabrol) **** - A repressed school teacher and a butcher meet in a wedding and form a friendship then a series of murder involving young women begin to occur in the sleepy small town they live in. It's a slow burn film which takes time to build but the story that unfolds before your eyes is so layered, complex and thrilling that it had completely won me over in the end. It's exquisite thriller/bizarre love story that is sure to invite repeat viewings and much discussions. The Dark Knight and The Dark Knight Rises (Christopher Nolan) **** - I secretly wanted to hate this just to fight with Nolan's cultish fan boys but goshdarnit, I thought this was a terrific closer to Nolan's Batman trilogy. I didn't care for Batman Begins so much but I did love The Dark Knight. I rewatched that film the other night and I was reminded by how batshit (pun intended) intense the final 40 minutes of the film was. I thought, can this film top that? I believe it did (not by much but it did). Tom Hardy is quite good as Bane, one of the main villains (although nothing here can top Heath Ledger's Oscar-winning performance). The end game of this one is highly crazy inventive that will put you at the edge of your seats. I will not spoil it so much here but I will say that this is actually less of a superhero movie and it's more a big, intense ENSEMBLE action-driven crime drama (which just happens to have people in costumes in it). Pierrot Le Fou (Jean-Luc Godard) ***1/2 - A man and a woman fall in love and run off to all sorts of misadventures as they are pursued by hoodlums. This is my third time watching this film in so many years. First two times, I didn't get it. The film is so dense with pop culture and literary references as well as philosophical and satirical edges, that it got me a hard time trying to decipher it. Third time, I saw it as a series of unrelated sketches and scenes and it totally worked. It's not my favorite of Godard's but the film is still quite exemplary. I saw it on Criterion Blu-ray (it's out of print and rare but somehow I stole it for $20) and Raoul Coutard's beautifully composed cinematography shines through. Speaking on behalf of the cast and crew of ‘The Dark Knight Rises,’ I would like to express our profound sorrow at the senseless tragedy that has befallen the entire Aurora community. I would not presume to know anything about the victims of the shooting but that they were there last night to watch a movie. I believe movies are one of the great American art forms and the shared experience of watching a story unfold on screen is an important and joyful pastime. The movie theater is my home, and the idea that someone would violate that innocent and hopeful place in such an unbearably savage way is devastating to me. Nothing any of us can say could ever adequately express our feelings for the innocent victims of this appalling crime, but our thoughts are with them and their families. Director Stanley Kubrick is known for his big visuals and serious drama so it's kind of weird that I'm selecting this one as part of my "Great Scenes" list since Kubrick lots of stunning visual and dramatic scenes. This is one of the funniest scenes in Kubrick classic anti-war black comedy Dr. Strangelove. In this scene, the U.S President calls up the Prime Minister of Russia informing him of an unauthorized nuclear attack launched by crazed general Jack D. Ripper. What follows is a hilarious largely improvised scene by Peter Sellers as he tries to talk with an apparently drunk Russian Prime Minister. Kubrick is known for his perfectionism but he was rolling on the floor with laughter as Peter was doing this take, that he insisted that the scripted lines get thrown out and this be used in the final cut instead. Satyajit Ray (Shyam Benegal) *** - A fascinating documentary on the life and career of Indian auteur Satyajit Ray which features a lengthy interview with him interspersed with behind-the-scenes of his latest (at the time) film and clips from his oeuvre. This is a Criterion Collection extra from The Music Room disc and it's like bonus film seminar from the master himself. Magic Mike (Steven Soderbergh) *** - This pretty much seals the fact that 2012 is definitely Channing Tatum's year. I was so ready to dismiss him as just another eye candy beefcake for hire in films but after 21 Jump Street and now this, he finally found a worthy place in cinema. This film loosely based around his experiences as a male exotic dancer is actually a pretty solid engaging film. It's director Steven Soderbergh's Boogie Nights, albeit a bit more gentler and lighter. Though Tatum is the star, I do think the highlight of the film is Matthew McConaughey who easily steals every scene he's in with gusto. This film unexpectedly beat presumed front-runner Pan's Labyrinth in the Best Foreign Language Film race. While I may not fully agree (see this list), I consider this film great enough to warrant a place in the Top 10. 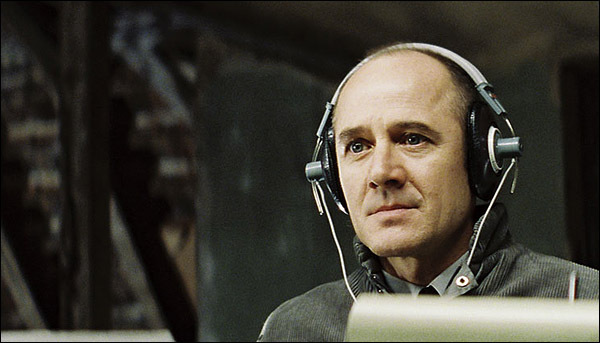 The film about an East German officer spying on a playwright takes some unexpected turns. It features a truly great performance by lead actor Ulirch Muhe. A lot of people hated this movie. Some people felt it was too soon. Some people felt it was exploitative. Maybe it was a tad too soon but I didn't feel it the least bit distasteful or exploitative. 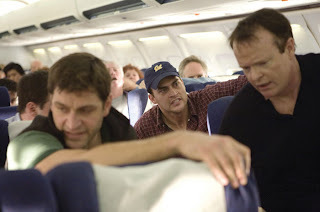 Director Paul Greengrass meticulously directs a scene-for-scene, matter-of-fact recreation of Flight United 93, the flight that fought back the terrorists during the 9/11 attacks. It even features cameos by some actual people involved. Even though we already know the outcome, director Greengrass keeps us in suspense and the unknown ensemble cast adds another great deal of realism to the piece. Martin Scorsese FINALLY won a Best Director Oscar for this film, a remake of the Hong Kong thriller Infernal Affairs. It's not his best work. I think he's made better work after and way better work before this. But hey, an Oscar is an Oscar. It's still a pretty damn good film about undercover cops and moles within criminal syndicates and the police force. I regard this as Leonardo DiCaprio's career-best performance. If you thought Mulholland Drive was incomprehensible, you should see this film. It makes David Lynch's other film seem conventional in comparison. Like, the former film, this one is also sort of about an actress trying to make it in Hollywood but the film just forgoes any conventional narrative arcs and goes right into surrealism with occasionally darkly humorous moments. Laura Dern still manages to give an impressive performance despite it all. Until relatively recently, this was probably my favorite non-PIXAR feature length CGI film and still my favorite feature-length motion-capture animated film. It's a horror film for kids but still manages to be somewhat spooky. 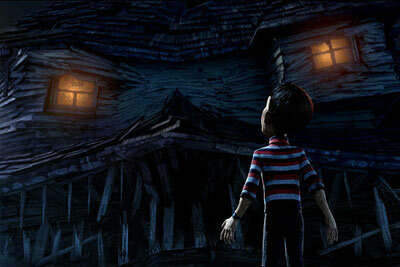 A boy finds out that the house next door is quite literally a monster. The film strongly reminds me of films made by Joe Dante, John Landis or even Steven Spielberg during the '80s (it's Super 8 before Super 8) and it's absolutely wonderful. This is probably the film that saved Penelope Cruz's acting career both in Spain and in Hollywood. She reunites with director Pedro Almodovar for this mother-daughter tale of a dead mom who seemingly returns from the grave. Almodovar continues his streak of great films with this sweet, heartfelt but still quirky and twisted dramedy. Some of the most impressive and stunning tracking shots can be seen in this film and for that alone, it's well worth watching. 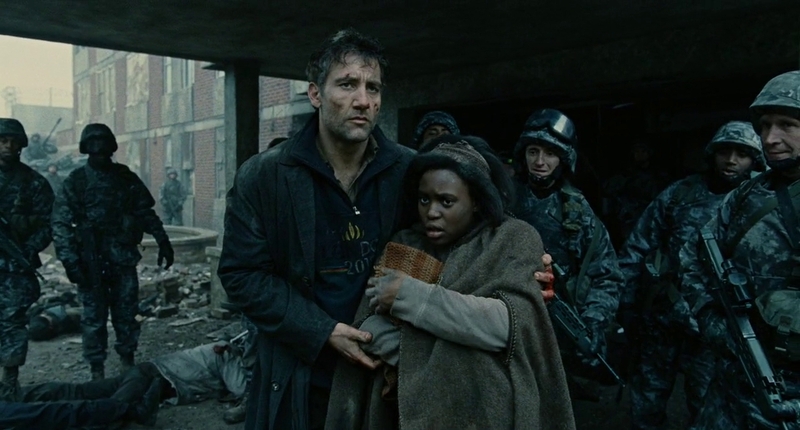 As it is, it's a thrilling, absorbing post-apocalyptic tale of a world where people can no longer procreate and the youngest person in the world is 18. Adapted from PD James' novel, director Alfonso Cuaron continues to prove that he is an auteur who is making his mark in world cinema. After an American facility spills dangerous chemicals into the river, a new dangerous mutant monster emerges terrorizing the populace. Now, put this in the hands of a hack American director, it's just gonna be a routine action/sci-fi/horror flick but put it in the hands of one of best Korean directors out there, Bong Joon-ho, it becomes something else entirely. Yes, there are scares and thrills but there's also depth and laughs to be had. It's a monster movie with a heart, essentially. Well, you just gotta see it. Clint Eastwood made two films about the World War II battle of Iwo Jima. The first one, Flags of Our Fathers was good but kind of routine World War II picture. The second film which tells other side of the story, however, is something absolutely extraordinary. I daresay it's one of his masterpieces. As an American director telling what is essentially a Japanese story, Eastwood adds a layer of nuance and sensitivity to what is usually expected in a standard war movie and elevates it into an absolutely beautiful piece of filmmaking. 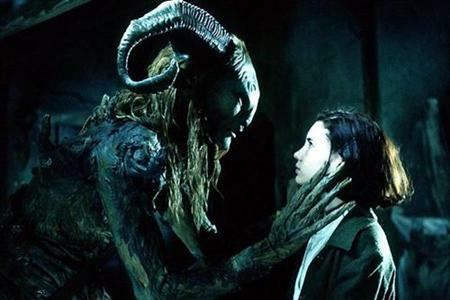 It's a close call but this very grown-up fantasy from the rich imagination of writer-director Guillermo del Toro takes the cake for me for this year. A little girl comes to live with her stepfather and her pregnant mother during the Spanish Civil War. Her stepfather as it turns out is a sadistic, cruel, evil man and she retreats to a fantasy world with extraordinary creatures. It's fantasy film punctuated with brutality of the real world. I admired The Lives of Others greatly but this should have won. Runners-Up: Borat: Cultural Learnings of America for Make Benefit Glorious Nation of Kazakhstan (Larry Charles); Dreamgirls (Bill Condon); Marie Antoinette (Sofia Coppola); Half-Nelson (Ryan Fleck); Casino Royale (Martin Campbell). Yes, yes, yes. I know I haven't done the Top 10 of past years in a while. I'll get around to continuing that eventually. I just thought this would be a very relevant Top 10 because Barnes & Noble are having their semi-annual 50% off Criterion Collection sale. It's like a holiday for film lovers. If there's anyone out there thinking of purchasing some titles from their collection, here's what I think are the 10 best. Now, the qualifications are the quality of the discs (picture, sound and extras) AND the quality of the film in conjunction with one another. These are based on films that I own, just take note of that! I've already praised this film in this blog before but I'm gonna praise it again. The Criterion disc is where I first experienced this film. It may not be as good as seeing it in the big screen but still, Criterion did a great job at bringing this classic to pristine life. This samurai classic from Akira Kurosawa is one of the first films that made me love and appreciate world cinema. Despite its over-3 hours running time, it is never boring and every time I see it, it's always an exciting, wonderful experience. Criterion's disc is jam-packed with delicious extras making an already classic film into an even better DVD/Blu-ray experience. Now, despite the fact that I'm not the biggest fan of Bed and Board and Love on the Run is one of Francois Truffaut's weakest films (I mean, it's essentially a clip movie! ), the inclusion of all the other films on the saga of Antoine Doinel more than merits its inclusion here. Of course, The 400 Blows is a classic but Antoine & Collette and Stolen Kisses are both great, great films. It also has a lot of extras including one of Truffaut's early films, Les Mistons. You get a lot for this three-disc edition of Terry Gilliam's controversial classic film, including a very lengthy documentary on the battle for the cut of Brazil and of course the butchered version of the film. You do not only get a great film, you also get a really awesome look into behind-the-scenes machinations of the movie industry. The other discs on this list are either not yet available on Criterion Blu-Ray OR I would contend that buying it on Blu-ray is somewhat optional. However, Black Narcissus is one of those discs which I very highly recommend that you purchase on Blu-ray. Jack Cardiff's stunning cinematography is brought to life with this transfer. It is one of the most beautiful films ever made. If you're a film buff or at least moderately well-versed in film, this movie needs no introduction. That being said, a film enthusiast's film collection is not complete without this film in it. The Criterion edition (DVD or Blu-ray) is the pride and joy of any serious DVD collector. This film does not have a Criterion Blu-ray release (yet) but damn it, it ought to have. This is one of the few Criterion discs I own which I would upgrade to Blu-ray in a heartbeat due to Christopher Doyle's drop-dead gorgeous cinematography. I have spoken about this film before and it's one of the most beautiful, heartbreaking love stories ever captured on celluloid. This disc, both the DVD and the Blu-ray, is out of print and therefore a little bit hard to find and quite expensive. I got it just in the nick of time. The Third Man is of course an undisputed classic film. There is another non-Criterion edition out there but it's not quite as good extras and cover art-wise. Jean Vigo is a filmmaker who made only 2 shorts, 1 short feature and 1 feature-length film in his entire career before tragically dying at the age of 30. But still, his films are so groundbreaking and ahead-of-its time that every one of them is considered a must-see. Criterion released all of them in one disc set. So this set pretty much can make you an expert on his life and career with the films and its numerous extras and commentaries. I believe I already talked about this film before. It's a film that was never released on video and DVD and only been shown in TCM/AMC a few times since its initial release but it's often regarded as one of the greatest films ever made by a lot of critics (Orson Welles was quoted in saying, this film is so sad, it could make a stone cry). Criterion has thankfully released this film and a wider audience was able to see just how fantastic this film is. This disc has the least number of extras included but the film itself is so damn good, it warrants inclusion. There they are. My Criterion Top 10 based on my collection. If you wanna check them out, they're here: (http://www.criterion.com/my_criterion/20012-malcolm1980/collection). I actually heartily recommend buying any one of them but these are the ones that I think stand out the most. Happy shopping! Rango (Gore Verbinski) ***1/2 - This is actually my second time watching this film. I saw the extended version on my recently purchased Blu-ray disc. It is beautiful to look at and is still a great film. I love the fact that it manages to create likeable, adorable characters out of ugly creatures. Abraham Lincoln: Vampire Hunter (Timur Bekmambetov) **1/2 - This film has some good moments. But they're not enough to compensate the rest of the film which is quite a bit of a mess. It's an inherently goofy premise: Abraham Lincoln, president of the United States is actually a vampire hunter. The film plays it straight like an alternate history. But the director doesn't have the chops to keep the tone consistent and the result is some dull, uninspired moments. The performances are pretty good so it's a pity. There's some unrealized potential there. I've already featured one scene from this magnificent Buster Keaton comedy on my blog. So here's the ENTIRE movie! It's only 44 minutes long so many of you will have little excuse not to take the time to check it out. It's a very funny, excellently made silent comedy. June is over. The year is half-over. How does the movie year look? Die Nibelungen Part II: Kriemhild's Revenge (Fritz Lang) ***1/2 - This is the second part of Fritz Lang's two-part epic fantasy saga. It picks up where the first one left off -- SPOILER WARNING -- after Siegfried's death, his wife Kriemhild vows revenge on his murderer, but there are complications resulting in much bloodshed. Action sequences and special effects in older movies often tend to impress me a bit more because they do not have modern technologies at their disposal. This is no different. There are some really spectacular battle scenes here and the entire thing plays out like a Shakespearean tragedy. As a whole, I feel the saga is Lang's warm-up to Metropolis but it's still a hell of a warm-up. The Amazing Spider-Man (Marc Webb) *** - I'm not the biggest fan of the Sam Raimi films. (I mean I liked them well enough but I didn't think they were anything outstanding or special) but even I thought a reboot was too soon. That aside, I still went in with an open mind since I really liked the cast (better than the Raimi films). Overall, I say it's a pretty darn good but far from perfect effort. First off, Andrew Garfield makes for a far more appealing Peter Parker/Spider-Man than Tobey Maguire. Another improvement is the fact that Spider-Man looks a bit more organic. I always felt the Raimi ones looked a bit CGi-esque and therefore a little less believable. I think this would be a far bigger hit and far bigger praise if the Raimi films didn't exist.